December 14, 2018 – With the lightning of a beautiful Christmas tree and the arrival of Santa Claus, the West Indian Company of St. Thomas, Virgin Islands brought cheers, and much more to hundreds of people that gathered for the annual event at the West Indian Company dock. July, 28, 2018 – October 2019. Three titles by Editorial Campana and Campanita Books joined a new exhibition co-produced by the Smithsonian’s National Museum of the American Indian and the Smithsonian Latino Center. Titled “Taíno: Native Heritage and Identity in the Caribbean,” the show explores the legacy of the indigenous peoples of the Caribbean and how their culture is alive and well even though books and scholars have stated their presumed extinction for decades. Rick Grant always had a passion for writing and a particular desire to communicate with children in a language that they would enjoy. For the second year in a row, the Virgin islands Department of Education featured a carnival troupe that brought books to life and connected literacy with culture. For the ninth consecutive year the US Virgin Islands’ Department of Education and the Office of the Governor presented the Governor’s Summer Reading Challenge, where students in grades K to 6 are challenged to read five or more books during the summer months. Since the Department of Education already had the very popular and successful Governor’s Summer Reading Challenge (GSRC), where children from kindergarten to 5th grade received free books for the summer written and illustrated by Caribbean writers and artists, why not combine carnival and the books from the GSRC? The Joseph Sibilly Elementary School on St. Thomas hosted one of several 2016 Governor’s Summer Reading Challenge presentations in the Virgin Islands. Biologist Fletcher Smith lead scientist in the whimbrel tracking project on St. Croix, and whose work inspired our book Hope is Here! 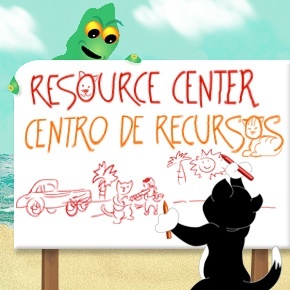 by Cristina Kessler (illustrations by Marcos Castillo), visits the Virgin Islands. Little Bell Caribbean was thrilled to once again take part in this great initiative, which is a partnership between the Office of the Governor and the Virgin Islands Department of Education. This year, the program's featured title was Moon Rooster/El gallo lunero, Little Bell's newest bilingual release about a special rooster that is determined to wake up the moon. Dominica's Prime Minister Hon Roosevelt Skerritt Reads "I Am Dominica"
One day, Tilda Turtle had so many guavaberries she decides to make a delicious Vienna cake. It isn’t long before everyone in the yard notices the beautifully frosted cake glistening in the windowsill, their mouths watering over the buttery aroma. 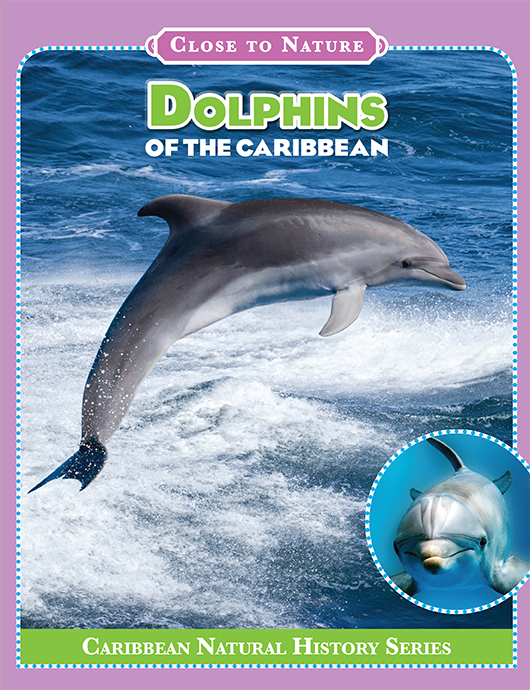 Meet the Very Smart Dolphin! A fun and educational book filled with information about one of our favorite animals. With over 50 photographs and interesting information, this is a book that readers of all ages will enjoy. 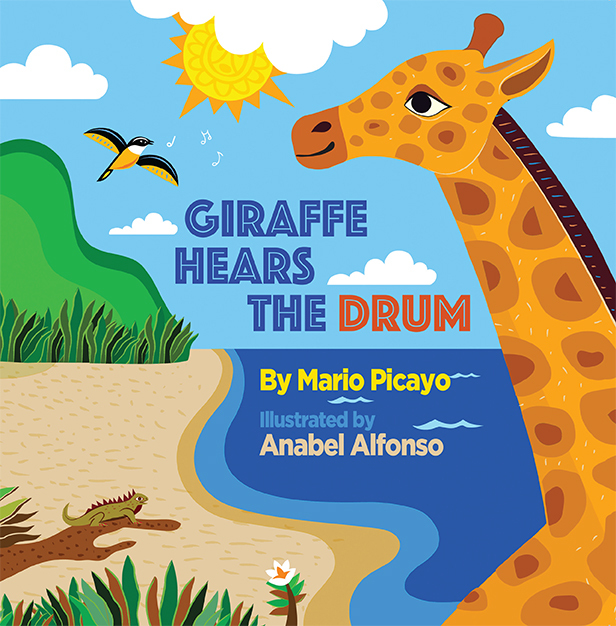 One day a young giraffe hears music coming from somewhere across the ocean, and decides to go and and out who is making the beautiful sounds. 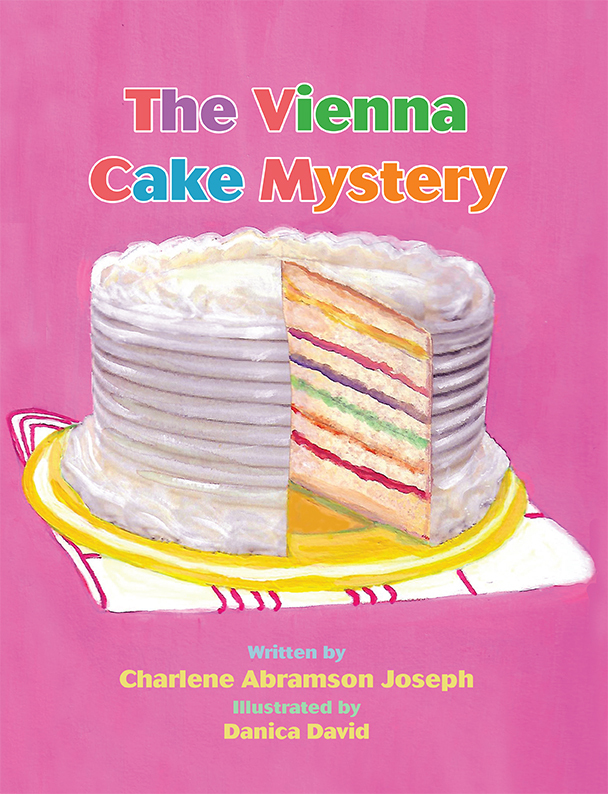 What she discovers will surprise her more than she could ever imagine. Download teaching guides, coloring pages, and more! Broo ‘Nansi (that good for nothing fellow) has a dilemma. He and Sis Iwana are such good friends, they never leave each other’s side. But when it comes to the feast under the river, Broo ‘Nansi is determined not to share any food, and he’ll go to any length to make sure he has it all to himself! However, Sis Iwana knows Broo ‘Nansi well and does not fall for his trick that easily.